Chelsea head coach Antonio Conte has responded to last night’s 4-1 defeat at Watford by giving his players three days off. The Blues have suffered back-to-back Premier League losses after following up the 3-0 loss to Bournemouth last Wednesday night by being thrashed by Javi Gracia’s Hornets. But Conte has opted to give his squad an extended period off in order to recharge their batteries. The players are only required to report for training on Friday ahead of Monday’s game against West Bromwich Albion. They are usually given one rest day after matches, but their boss has opted to extend that on this occasion. 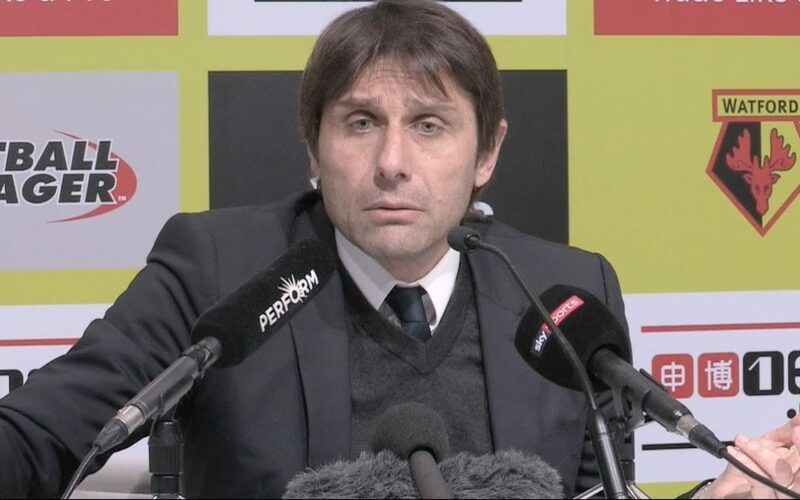 Speaking after last night’s defeat at Vicarage Road, Conte told reporters: “If we wanted to find alibis we could find everything. Tiredness, injuries… but this is not my way to face the situation, to solve the problem. The problems you have to solve with work. Chelsea’s involvement in the Carabao Cup semi-finals and their failure to see off Championship side Norwich City in the FA Cup third round at the first time of asking has meant they have played 10 matches already in 2018.